We’re willing to bet even Amazon couldn’t have guessed its Alexa-enabled Echo speaker ecosystem would become so popular so fast. 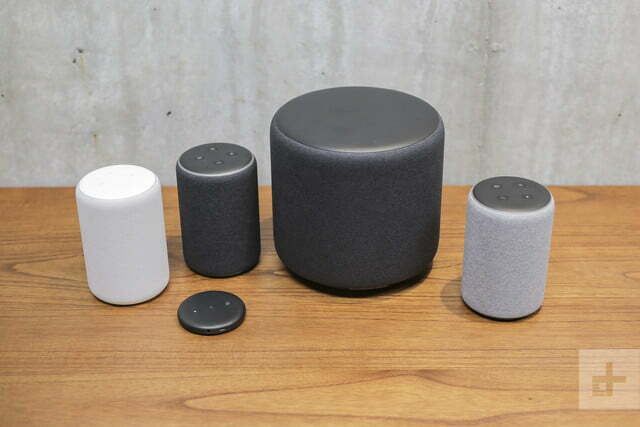 After a wildly successful year of Echo sales, Amazon released a new generation of speakers, ranging in size from the tiny Dot to the tall-boy-beer-can-styled Echo Plus, and in doing so, stepped up the sound quality options. But even Amazon’s best-sounding speaker, the recently released second-generation Echo Plus, lacks what it takes to rock a party and fill out a room with solid-sounding bass. Enter the Amazon Echo Sub. Amazon heard reviews from pros and consumers alike and answered the call for bigger sound, though we couldn’t have predicted it would have done so with a sub. 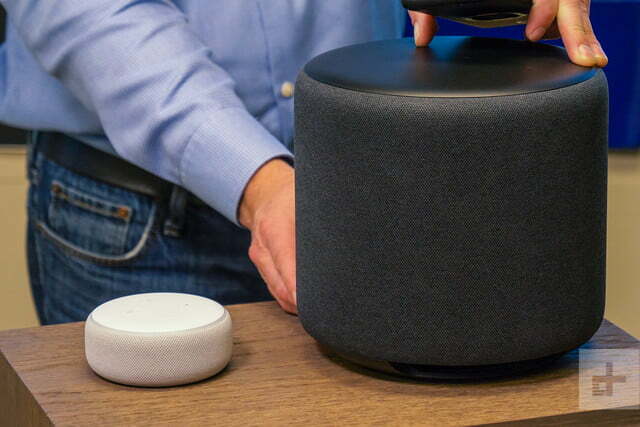 Google’s solution is the Home Max, and Sonos has the Play:5, both big speakers that take up a lot of space and make their presence well-known — there’s no hiding them. With the Echo Sub, Amazon offers a big-bass solution for owners of its compact Echo speakers. One that can be tucked away out of sight. Here’s the catch, though: The Echo Sub only works for certain Echo speaker owners, and because of the way it integrates with Echo speakers, it’s use is pretty limited. Read on to find out if this little footstool of bass is something you should invest in. The Echo Sub comes packaged in a box almost as compact as the sub itself. Opening the box reveals the Sub wrapped in plastic with only a power cord in tow and a little warning sticker over the power port directing you to make sure your Echo speakers are all set up before plugging the sub in. Turns out, this isn’t absolutely necessary, but it does smooth out the setup process. The Sub has just enough weight to instill confidence that its components are of respectable quality; a lightweight sub is never a good sub. The cabinetry sounds inert enough for injection-molded plastic, but a knock on the cap up top had us concerned we might hear some buzzing when things got raucous. The sub is wrapped in what is becoming a very familiar-looking fabric, and the top has a matte charcoal finish. All in all, this is one of the more attractive and compact subs we’ve reviewed. If you peer through one of several plastic vents on the sub’s underside, you can see its 6-inch woofer. The driver has a robust surround – also a good sign – and the motor structure feels sturdy as well. Toss in what Amazon claims is a 100-watt amp (definitely digital) and you’ve got the makings of a decent little subwoofer. As for features, that’s about it. There’s an action button on the back of the sub to help reset it when necessary, but you’ll find no inputs or outputs. There’s no way to connect this subwoofer to anything other than an Echo speaker. We’ve got to hand it to Amazon for making what we worried would be a troublesome setup process a surprisingly simple affair. Pull up the Alexa app on an iOS, Android, or Fire device, press the new house icon on the bottom right, click the little plus icon in the upper right corner, click Add device, select Echo, then Echo Sub. Once the sub has been plugged in, it will appear as a device you can click to add. Ours said FRP Plus, which threw us off for a moment, but after giving it a go, we learned we were indeed adding the sub. The next step involves connecting it to your Wi-Fi network. If you’ve got more than one, be sure to add the sub to the same network to which your Echo speaker(s) is connected. 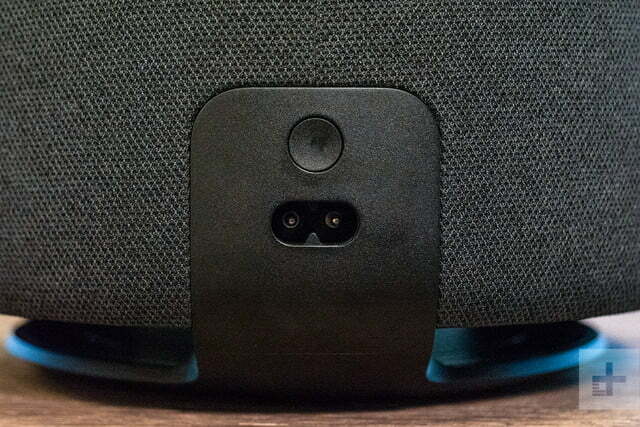 The final setup step involves pairing the sub with an Echo speaker or speakers to create a group. 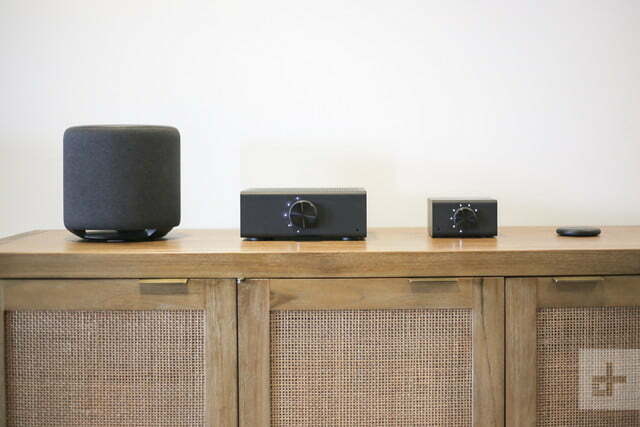 For our tests, we paired the Sub with a third-gen Echo Dot, second-gen Echo, third-gen Echo Plus, and two second-gen Echo speakers, all in stereo. We’ll comment on the performance of each combo below, but first, let’s talk about the sub’s bass performance. The Echo Sub isn’t a hi-fi device (we’ve got a suggestion for great bass on the cheap with more flexibility below), but it is respectable and in line with what we expected. To be clear, the Echo Sub can get loud. If you live in an apartment, you could piss off the neighbors if you wanted to. The Sub can also play a bit deeper than we were expecting. It starts rolling off at 50Hz and is done playing anything audible by about 40Hz. That’s a lot better than most computer speaker-style subwoofers, which is interesting because that’s the closest product comparison we could come up with for the Echo Sub. It’s better than a computer speaker sub, but not quite as tight and refined as a home-theater subwoofer. To be clear, the Echo Sub can get loud. Our test tracks included D’Angelo’s Brown Sugar, Mark Ronson’s Uptown Funk featuring Bruno Mars, the Roisto Remix of Charlie Puth’s How Long, Snarky Puppy’s Lingus, and Oscar Peterson’s Tricrotism cut from The Sound of the Trio (because, Ray Brown). One of our chief concerns was that the Echo Sub would have to cover the bass spectrum so high into the mid-bass region that we’d be able to hear the sub’s placement – ideally a sub will only play frequencies so low that you can’t tell where they are coming from. Fortunately, though, we didn’t have much trouble with the sub giving its location away unless we placed it far away from the Echo speakers it was paired with. Our suggestion is to do your best to keep the sub near the Echo speakers it is working with to get the most seamless blend. If you do it right, it will just seem like your Echo or Echo Plus got a whole lot bigger. The quality of bass response was, again, respectable. For music – which is just about all it will play right now – it’s sufficient to get a big, robust sound capable of serving as the foundation of a party. It sounds fine at both low and loud volumes, and it’s not “one-note” bass, where you get a static resonance and a bunch of thump without definition. We could clearly hear in-tune notes produced by Ray Brown’s upright bass, as well as the deep drone of the bass on Brown Sugar. Paired with the new Echo Dot, there was enough of a gap between where the Dot stopped playing bass and where the Echo Sub picked up that we could pick it out. The Echo Dot may seem like an odd pairing for the Echo Sub, but now that the new Dot sounds like a real speaker, it makes a whole lot of sense. 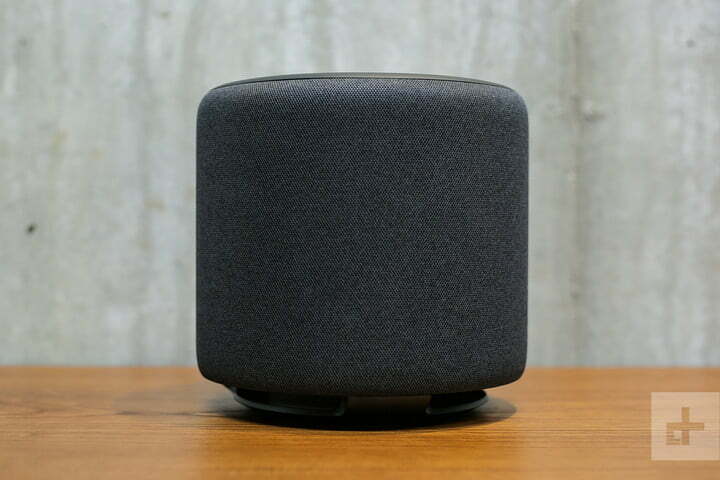 An Echo Dot with an Echo sub is the perfect blend of loud sound and out-of-sight speaker. Pairing two Echo speakers and the Echo Sub offered a formidable 2.1 sound system. Matched with the second-generation Echo speaker, we got an impressively full sound. The pairing had more body and more pronounced treble, with a much more lifelike midrange. Pairing two Echo speakers and the Echo Sub offered a formidable 2.1 sound system. This arrangement is available as a bundle for $250 right now – an $80 discount — and we consider that a hell of a deal. The sheer amount of sound you get from this particular grouping of speakers is staggering for the price. We also enjoyed having real stereo effect and something of a soundstage with depth. This would be a killer system for a dorm room. The best sounding setup, however, would have to be an Echo Plus or two Echo Plus speakers paired in stereo with an Echo sub. The Echo Plus is a much better-sounding speaker than the second-gen Echo, even if it is about the same size. It’s got a larger main driver and a more powerful tweeter, and the result of the upgrades is better midbass and more controlled, detailed treble. This would also be the most expensive arrangement, bundled at $330, which is a bit pricey and includes a redundant second smart home hub, but it still represents a savings of $100. We’re sad to say that as good as the Echo Sub performs, the way it is integrated with Echo speakers means its use is limited to playing music and podcasts. You can’t connect your phone to your Echo speaker and stream anything from it without breaking the connection between the Echo speaker and the Sub. This also means you can’t connect your Fire TV to the system and get TV audio to your speakers. That’s a real shame as it is an obvious use case, and one we think a lot of folks would enjoy taking advantage of. Perhaps we’ll see this fixed down the road. For now, though, you’ll get no audio from your videos to the Echo sub. The Echo Sub comes with a 1-year limited warranty, just like most Amazon-made devices. Supplemental warranties are also available for purchase. The Echo Sub is designed and outfitted to do one very specific thing and do it well enough. It succeeds at offering loud, respectably deep and robust bass to eligible Amazon Echo speakers, and does it with ease. That’s where its utility stops, though. The Echo Sub is built for a very specific kind of Amazon fan. Not for Echo speakers, no. One could jury-rig a system using adapter cables and two echo speakers where one served the sub, but it would be a little complicated to run as a group and not as cost-effective. If you arrived here hoping to get good bass on the cheap, check out this subwoofer from Monoprice. It plays deep and loud, and is shockingly capable for the price. 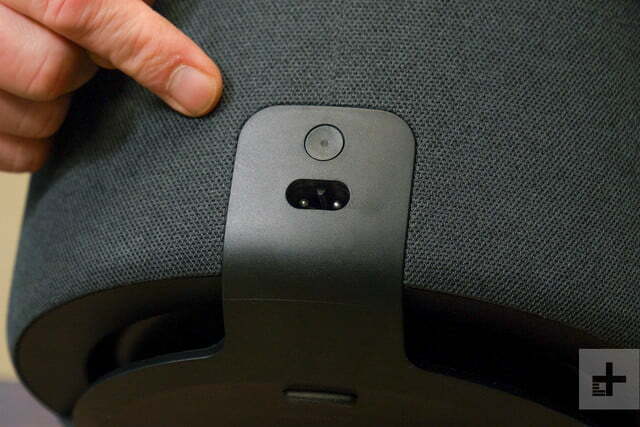 We think the Echo Sub will be able to last as long as an Echo Speaker is likely to last. Future versions may be more flexible and powerful, but the Sub itself will last long enough for users to get enticed by something else down the road. Yes. If you’re an Echo speaker user who wants to make a full-sized system out of your Alexa device, this is the only way to do it, and the results are pretty impressive. For that reason, we offer our Recommended Product badge.